One day Zeus hurled a wooden statue of the goddess Artemis down from the sky. It landed at Sevastopol, or rather the town which then existed on the site of Sevastopol, which was inhabited by a xenophobic cattle-farming tribe called the Taurians. The Taurians built a temple for the statue by the sea and installed in it a Greek priestess called Iphigenia who had mysteriously turned up. Artemis dropped her off there after rescuing her from being sacrificed in Greece by her father. Provided she conducted the ritual human sacrifices there, she was welcome to bed and board. 20 years later her dysfunctional little brother Orestes arrived with his friend. The three Greeks tricked the Taurians, stole the statue in a fit of mindless colonial rapine, and ran away with it to Greece. There has been Trouble at Tauris ever since. Catherine the Great sent Potemkin in to wrest it from the Khans who ruled it for the Ottomans and called him her ‘Prince of Tauride’ because of his glorious victory for Mother Russia. The Charge of the Light Brigade took place up the road. The German invasion of Sevastopol made the Crimean War look like a teddy bears' picnic, as did Stalin’s 'deportation' of the Tartar population. 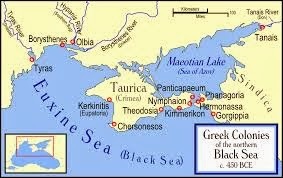 Euripides wrote a play, actually set in Sevastopol/ Tauris, called Iphigenia in Tauris. The northernmost Greek theatre ever excavated is in Sevastopol/Tauris, and Iphigenia in Tauris was probably performed there in antiquity. 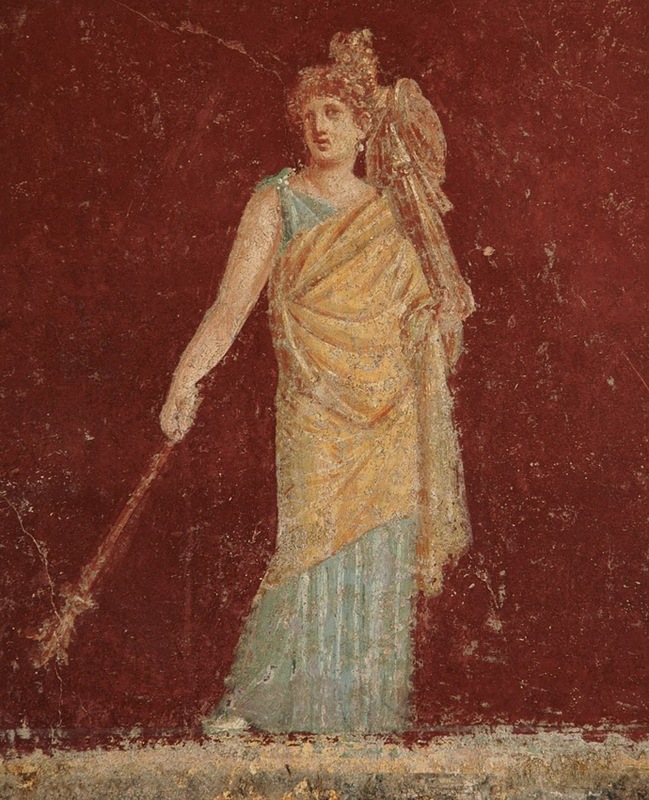 But Artemis NEVER sanctions the theft of her statue and the tricking of the Taurians by the Greeks. Would you Go Diving with this Man? 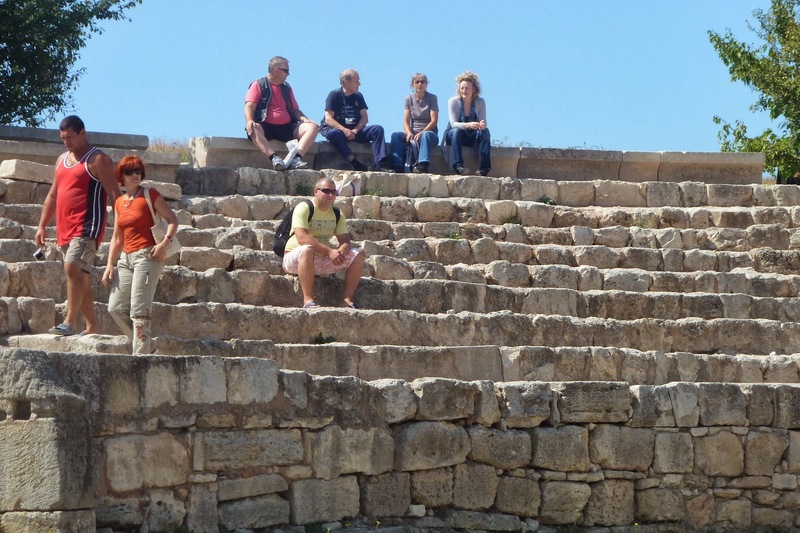 The ancient Greeks built several cities in and round the Crimea, complete with theatres and other antiquities now dug up by Russian AND Ukrainian archaeologists. 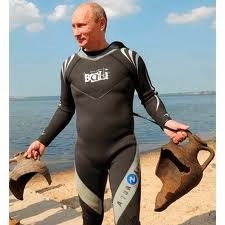 Vladimir Putin likes to go diving on the other coast just opposite the eastern Crimea and ‘find’ ancient Greek vases on the seabed. If the endless historical conflicts in the Crimea are ever to be resolved, Artemis must clearly be appeased and the statue returned. 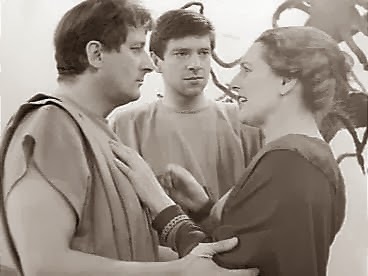 An English Classics professor realized this years ago, wrote a book about it and persuaded the poet Tony Harrison to write a new musical play called Iphigenia in Sevastopol. It was to be acted in the ancient theatre in a symbolic handing back of the statue of Artemis to the place where Zeus had originally thrown it. With massive help from David Braund, Black Sea Greek archaeologist without rival, this professor tried to organise a conference at Sevastopol for July 4-5, 2014, where all the Russian and Ukrainian archaeologists would meet their western fans and Mr Harrison’s brilliant new play would be performed in the ancient theatre. To her disappointment, she failed to get funding, and so organized the conference to take place at King’s College London instead (registration opens next week). But Artemis will not now be restored to her ancient altar. So the world watches the Crimea, terrified that World War III will break out, and the prof. selfishly frets that her Russian and Ukrainian invitees may not get to London in July. Tony Harrison’s play will probably never be performed in Sevastopol. Artemis will remain angry. What is to be done? Are Modern Theatre Audiences too Respectful?